Robert Downey, jr. appears again, but doesn’t star, in director Curtis Hanson’s (L.A. Confidential, 8 Mile) 2000 film. 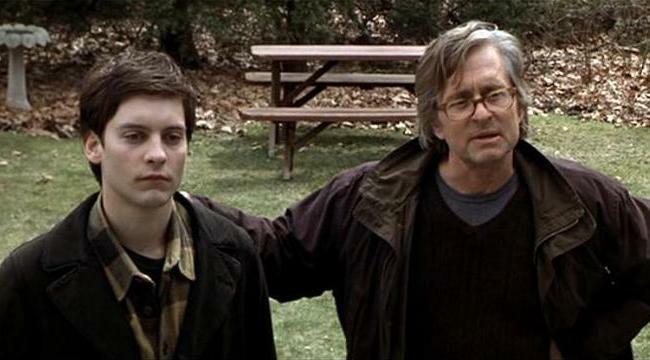 Oscar-winner Michael Douglas (Wall Street, Romancing the Stone) plays a college professor in the What’s Eating Gilbert Grape of middle aged comedies. Professor Grady Tripp balances a plethora of problems starting with the departure of his wife and the arrival of his editor. Frances McDormand, Tobey Maguire, and Katie Holmes also act in the film.